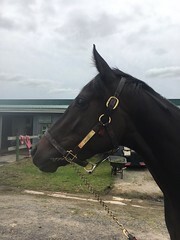 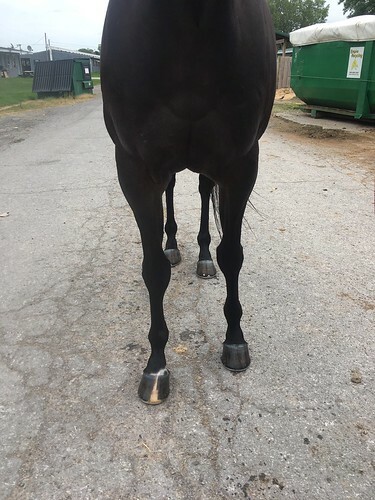 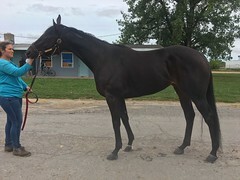 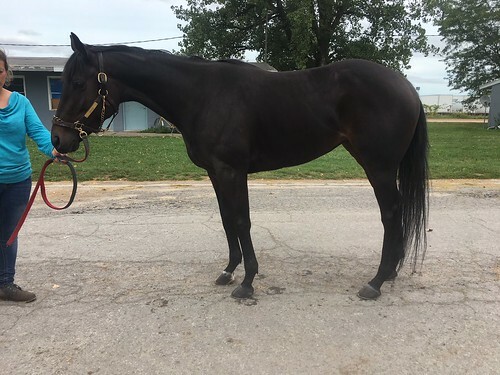 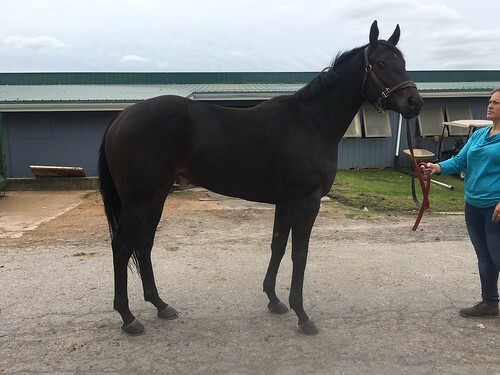 This big and still growing young filly is ready to go in any direction, and with her strong uphill build and pedigree, she is an excellent sport horse prospect. She has a nice topline and correct balanced conformation, and she is reported to be sound, and we observed clean legs. She has not been on the track that long so she should transition easily to a new career, with some time to enjoy turnout and finish growing and filling out. 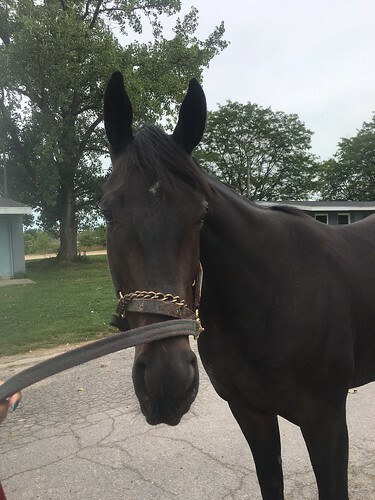 She has had a total of only 15 starts and made about $35,000, not enough to keep her racing when she has only hit the board three times and has just had two wins. 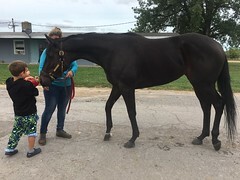 Hug the Rail is reported to be as tractable as can be, which you can see from the photos that show the assistant trainer/handler letting her young children hang around and pet this patient and obedient filly. 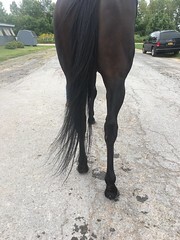 For her jog video, she showed light movement with good reach from the shoulders, although the handler could not let her trot out due to too much activity in the area. 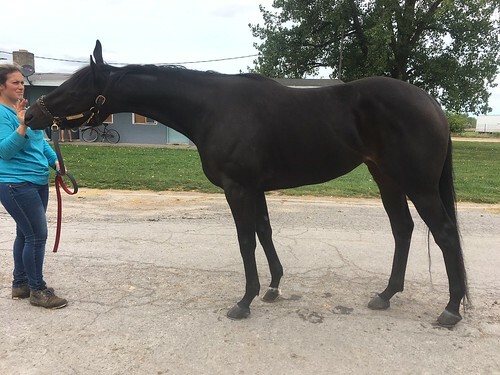 She has an excellent pedigree for sporting/jumping disciplines. Her sire is Here Comes Ben, a son of Street Cry out of a Danzig and Halo line mare.Her dam is a granddaughter of Seattle Slew and Quiet American, with Fappiano and Hail to Reason in her pedigree.